Hansgrohe has added the square Raindance E collection to its offering of showerheads and rain showers. The new collection includes two thin, square showerhead designs and one showerpipe component, all created in collaboration with Phoenix Designs. The company says the overhead nature of the rain showers allows for more design flexibility in the shower. 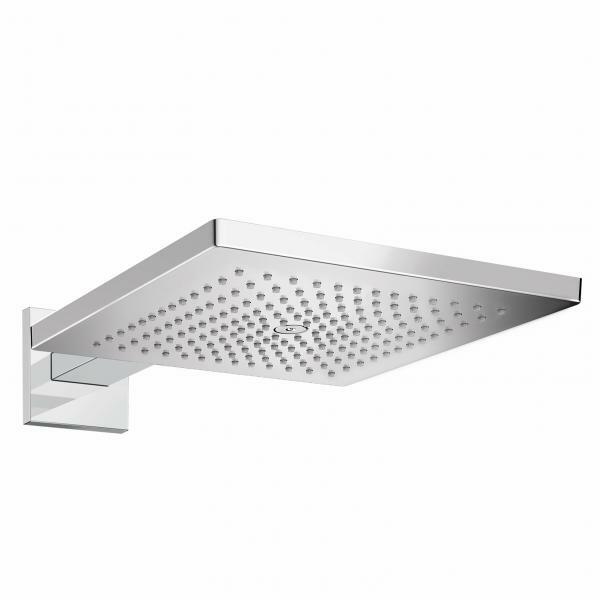 The new chrome Raindance E 400 Square 1-Jet Showerhead installs flush with the ceiling for a seamless look. The 15-by-15-inch plate features 12 square inches of jets for full body water coverage and a true rain feel. For overhead and wall-mount configurations, the 12-by-12-inch Raindance E 300 1-Jet features improved spray technology, the company says. Jets at the center are positioned closely together for a powerful spray that will rinse shampoo, while jets at the outer edges are spaced out for relaxing water cover. Overhead and wall-mount configurations are available in chrome or brushed nickel. Both new showerheads have available flow rates of 1.8 or 2.0 gallons per minute. The Raindance E 300 can be paired with the new glass-covered Raindance E Showerpipe, which supports the showerhead as well as a hand shower holder, a thermostat, and a shelf for toiletries. 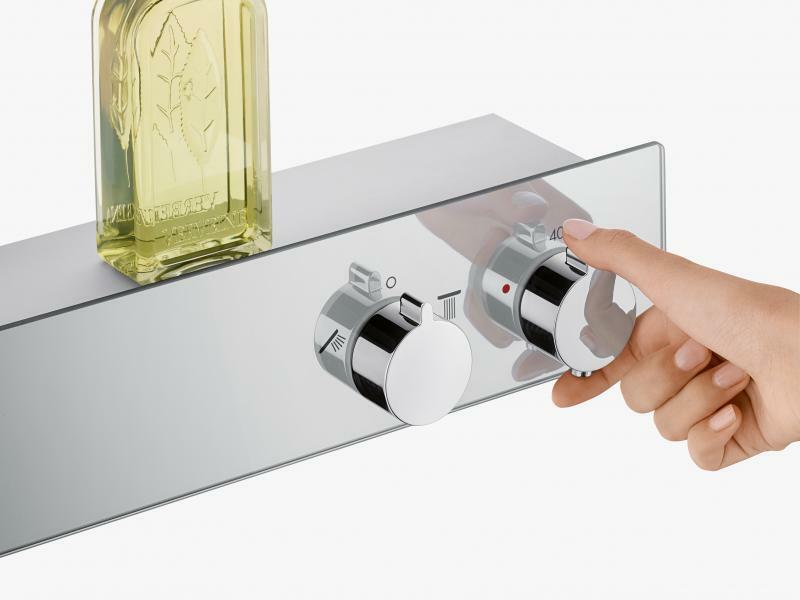 Hansgrohe’s new offerings also include the flexible ShowerTablet 600 2-Function Exposed Shower Thermostat. With the new thermostat, mixed water is routed back into the wall, allowing for flexible placement of the showerhead. The product is covered in glass and available in chrome, as well as a white and chrome combination finish.